From the little town of Buna, TX comes to us Texas Big Beer Brewery. This is such a great story of this Husband and Wife duo starting this brewery from the ground up. I have been following them in their career since I first heard about them in 2012. One thing I really enjoy is that they live up to their name, and they definitely brew Texas Big Beers. Poured into a tulip style glass, this beer appeared a translucent dark orange red color that was topped with about a half inch, slightly off white bubbly head, which dwindled down to a think layer on top rather quickly. It did hold up for a long time during the session, leaving small traces of spotty lacing down the glass. The aroma is pretty complex. Sweet brown sugar/molasses is pretty dominant in the nose followed by candied green apples, banana, vanilla, dark fruits like figs, prunes, raisins, dark cherries mixed well with dark grain bread, and a hint of maple syrup. There is a lingering green apple tartness that lingers in the nose after each whiff. The taste is very similar to the nose, with a few additions. Right away my taste buds pick up on the sugar rock candy-like flavor, brown sugar/molasses, followed by the dark fruit flavors of figs, raisins, prunes and dark cherries. The Belgian notes come through in the taste with some banana, clove spice, and bit of black pepper. There are subtle hints of vanilla, light honey, caramel, maple syrup, and dark rye bread. The aftertaste that lingers around a bit is sweet, sugary and fruity. This beer finishes with some green apples, honey dew, melon, banana, and candi syrup. 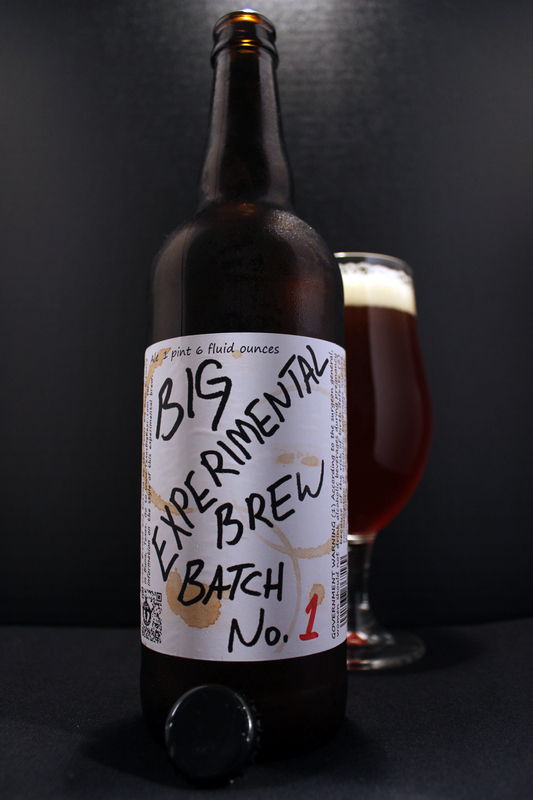 This Big Experimental Brew has a heavy thick body, which compliments this style and all the aroma and flavors well. There is a nice creamy mouthfeel, very mild carbonation, and a sweet finish that seems to leave a sugary coat on the lips to linger a bit as your throat dries. Overall, yes this is not quite a true Belgian Quad, but a Belgian it is, for sure though. It just seems like this beer is a bit confused on what it wants to be, but this is not necessarily a bad thing. With so many beers being brewed around the world, and so many all in the same styles, it is nice to find one that sticks out a bit. Experimenting is a good thing in my view. I am not sure exactly what the plans are for the future with these small batch beers in this series, but hopefully we will see a return of this experimental Belgian Tripel Golden Strong Quad! I should have bought two of these bottles and aged one for a while to see what it would have done to the profile of this beer. Metal Connection: As I usually do, I scanned through the ol’ files of music folders to come up with a great match, and dammit, I think I did it! My first initial thought was to put a band that was claiming to be a sub genre of Experimental Metal, but then I thought that really wouldn’t capture the true essence of what I try to do with Metal Connection here on the site. For this connection I went back to 1990 when Birmingham, England’s Benediction released their debut full length album, Subconscious Terror on Nuclear Blast Records. At this point the band had only released one demo and one split 7′ vinyl. The demo, split and debut full length featured a member who would later become a legend in the underground Metal scene. I am talking about mark “Barney” Greenway of Napalm Death fame. 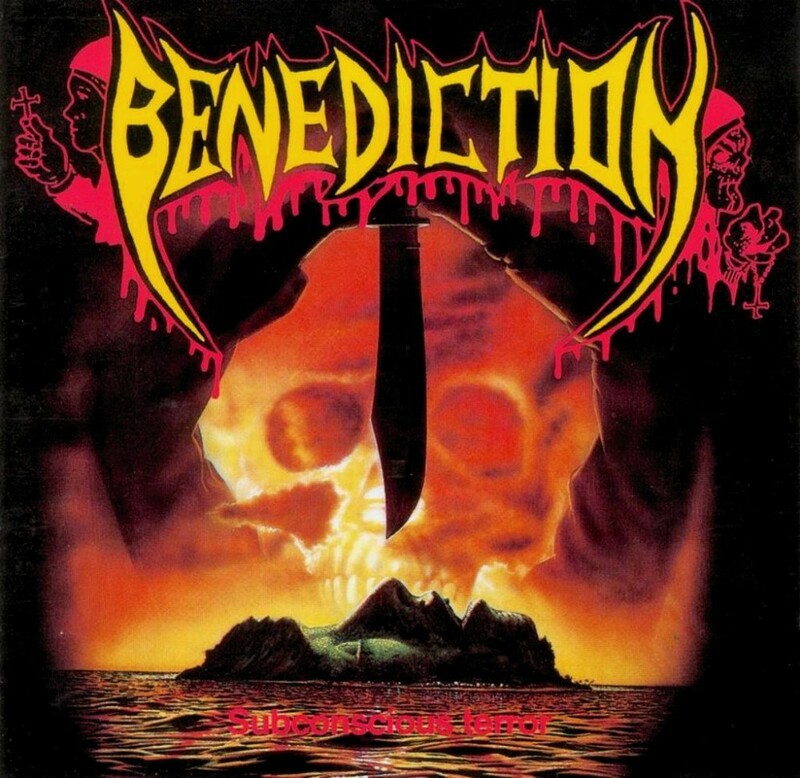 Benediction was his first band, and this album is the only produced album by Benediction that features Mr. Greenway on vocals before he joined Napalm Death. Here is the track “Experimental Stage.” This song was later re-recorded by Benediction with their new line-up in 1992 for a 7′ single release, and an EP called Dark is the Season. I have heard both versions, and I would rather choose the original Subconscious Terror version. Here is an old school classic in all it’s raw, not so digital professional studio recording from 1990.